Mr Phelim Kine, Deputy Director of the Asia division at Human Rights Watch, sheds a light on the restrictions placed by Indonesian authorities on journalists wanting to report from West Papua. He highlights the case of two French journalists, Jean Frank Pierre and Basille Marie Longchamp, who were detained and deported by Indonesian authorities last week in their attempts of making a documentary. Despite Indonesian President Joko “Jokowi” Widodo having announced to open West Papua to foreign media, the reality on the ground proves to be quite different. Mr Kine underlines that these restrictions show that the government has something to hide in the region. Whilst Mr Kine hints that government officials believe that opening the region may cause instability due to the armed independence movement and public dissatisfaction, UNPO stands by its members who non-violently and peacefully advocate for their fundamental human rights to be respected as they are perpetually abused by the Indonesian authorities. French journalists Jean Frank Pierre and Basille Marie Longchamp learned firsthand last week [March 2017] the Indonesian authorities’ contempt for media freedom in its “Forbidden Island” provinces of Papua and West Papua (commonly referred to as “Papua”). Indonesian police detained and then deported the two reporters, who were filming a documentary for Indonesia’s Garuda Airlines, for lacking “necessary documents from related institutions,” without elaborating. The authorities have barred the two journalists from returning to Indonesia for at least six months to ensure they get the message. The message is that there’s a glaring gap between the rhetoric of Indonesian President Joko “Jokowi” Widodo’s announced opening of Papua to foreign media, and the grim reality that journalists are still blocked from reporting there. In May 2015, President Jokowi said he would be lifting of the 25-year de facto ban on foreign media access to Papua. That policy change was supposed to end the farce of placing foreign journalists in legal limbo by denying or failing to approve their reporting applications for Papua. But abuses of media freedom for foreign journalists in Papua, along with visa denial and blacklisting of reporters who challenge the official chokehold on Papua access, has continued unabated. That’s mainly because Jokowi has singularly failed to issue a formal written directive instructing Indonesia’s bureaucracy and security forces to lift these restrictions. 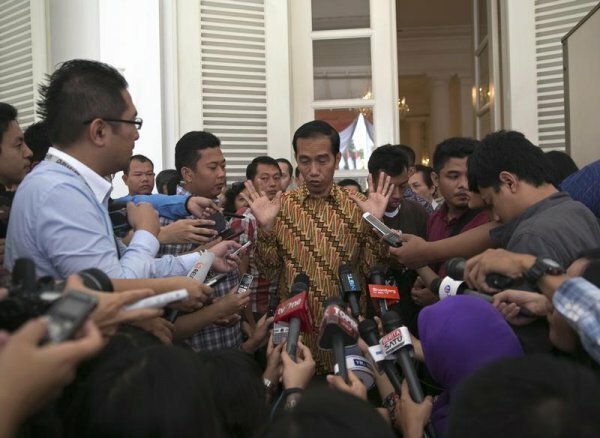 But it’s also due to the deeply rooted perception among many government and security agency officials that foreign media access to Papua is a recipe for instability in a region already troubled by widespread public dissatisfaction with Jakarta, and a small but persistent armed independence movement. That reflexive official paranoia extends beyond journalists and also impedes access to Papua for international development agencies, United Nations officials and foreign academics that Indonesian authorities perceive as hostile. The government needs to understand that blocking media access on overbroad security grounds doesn’t just deter foreign news reporting about Papua, it raises troubling questions about what the government might be hiding there. It’s time for Jokowi to issue his long-delayed written directive lifting restrictions on foreign media access to Papua, and appropriately punish government officials who refuse to comply.